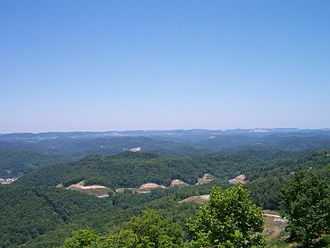 January – Stephen Foster's "My Old Kentucky Home, Good Night", which is later adopted as the state song of Kentucky under the name "My Old Kentucky Home", is published by Firth, Pond, & Company. 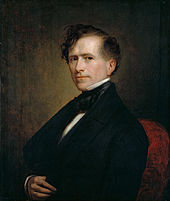 January 6 – President-elect Franklin Pierce and his family are involved in a train wreck near Andover, Massachusetts. Pierce's 11-year-old son Benjamin is killed in the crash. March – Levi Strauss & Co. is founded in San Francisco, California. 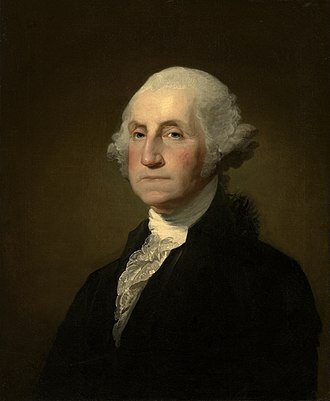 March 2 – Washington Territory is created from Oregon Territory. 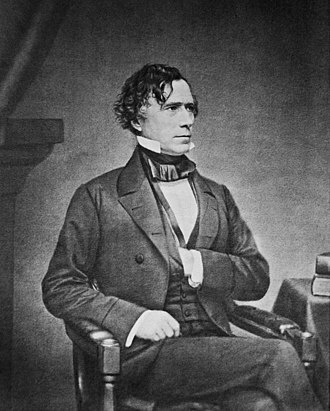 March 4 – Franklin Pierce becomes the 14th President of the United States, affirming the oath of office. March 5 – Steinway & Sons, a piano maker, is founded in Manhattan by the German immigrant Henry E. Steinway (Heinrich E. Steinweg) and his family. 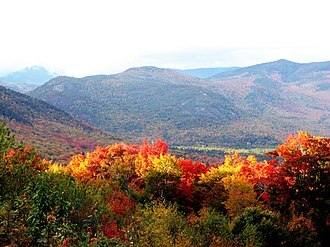 April 4 – Regular operation of the St. Lawrence and Atlantic Railroad begins between Montreal and Portland, Maine. 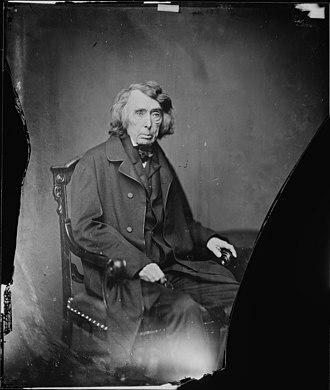 April 18 – Vice President William R. King dies. 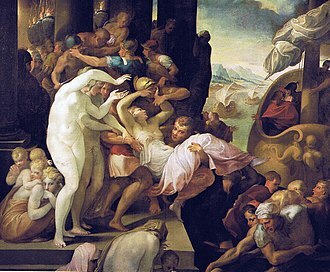 May – An outbreak of yellow fever kills 7,790 in New Orleans. May 6 – Norwalk rail accident: A train drives off an open swing bridge into a river in Norwalk, Connecticut, killing 56. May 11 – Shimer College is founded in Mount Carroll, Illinois, with 11 students. May 23 – The first plat for Seattle, Washington, is laid out. July 1 – The Latting Observatory is opened for selected guests in New York City as part of the Exhibition of the Industry of All Nations. 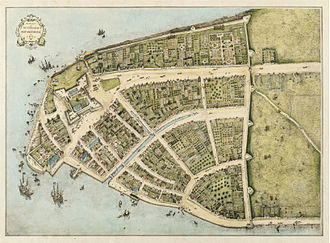 It is the tallest structure in the city at the time. July 2 – Koszta Affair: American Captain Duncan Ingraham commanding the USS St. Louis threatens to open fire upon an Austrian ship holding Martin Koszta as a prisoner. Koszta, who was in the process of obtaining American citizenship, is later returned to the U.S.
July 8 – U.S. Commodore Matthew Perry arrives in Edo Bay with a request for a trade treaty. 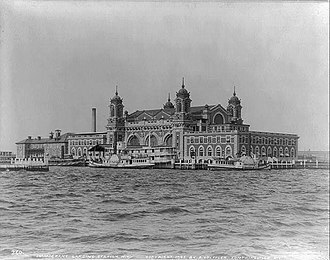 July 14 – The Exhibition of the Industry of All Nations world's fair begins in New York City. August 24 – Potato chips are traditionally said to have been invented on this date by George Crum in Saratoga, New York. October 4 – The Great Republic, the largest wooden clipper ship ever constructed, is launched in Boston by Donald McKay. October 15 – William Walker sets out with 45 men to conquer the Mexican territories of Baja California and Sonora. 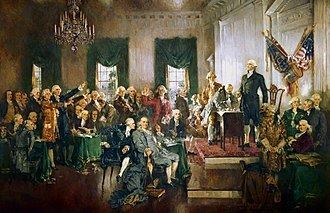 November 11 – Voters in Massachusetts reject all eight proposals from the state's Constitutional Convention that was held from May 4 to August 2. December 7 – Erie Gauge War: Citizens of the Erie, Pennsylvania, area act to stop new track being laid to resolve rail gauge differences coming from neighboring Ohio and New York. December 25 – Cincinnati riot of 1853: Cardinal Gaetano Bedini's visit to Cincinnati, Ohio, sparks a Christmas Day protest that leads to the death of a protester in brawl with police. December 30 – Gadsden Purchase: U.S. Ambassador James Gadsden signs a treaty to buy approximately 29,600 sq mi (77,000 km2) of land south of the Gila River and west of the Rio Grande from Mexico to facilitate railroad building in the Southwest. 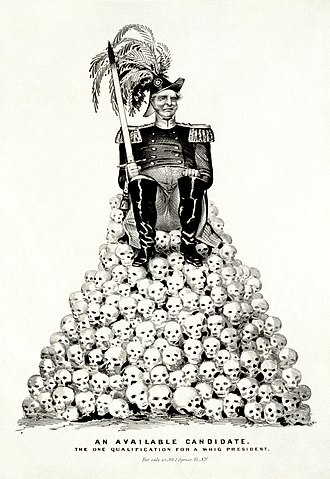 Yontoket massacre: More than 450 Tolowa people are killed at Yontocket, California, by a citizen militia from Crescent City. East Florida Seminary is established; it is the oldest institution of what later becomes the University of Florida. The high school known as the Wheaton Academy is founded in West Chicago, Illinois. ^ Downey, Lynn (2008). "Levi Strauss: A Short Biography" (PDF). Levi Strauss & Co. Archived from the original (PDF) on 2011-07-23. ^ Kehl, Roy F.; Kirkland, David R. (2011). The Official Guide to Steinway Pianos. G. Schirmer Inc. p. xvii. ISBN 978-1-57467-198-8. ^ Haine, Edgar A. (1993). Railroad Wrecks. pp. 33&ndash, 34. ISBN 978-0-8453-4844-4. ^ Henderson, Harold (1988-06-16). "Big Ideas: Tiny Shimer College has survived for 135 years on great books, high hopes, and very little money". Chicago Reader. ^ "Wheaton Academy: Our History". Wheaton Academy. 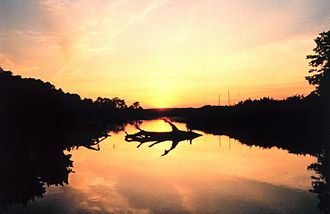 Born in Milford, Connecticut on April 26,1781, Pond was the son of Captain and Martha Pond. Prepared by his pastor, he attended college beginning at age seventeen and he studied law with Hon. 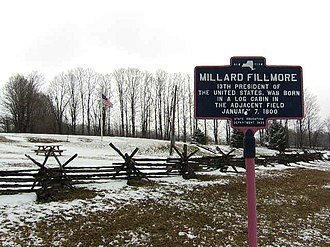 Roger Minot Sherman, of Fairfield, for two years and admitted to the bar in Fairfield County. Instead of beginning practice, he took a sea voyage for his health. The result was he followed the sea for years as an employee of his fathers shipping business, first as a supercargo. Regaining his former health he took up his residence on land again and he was married in 1809 to Catherine Dickinson and they had seven children. Pond served as a judge of New Haven County Court from 1818 to 1819, sheriff of New Haven from 1820 to 1834. 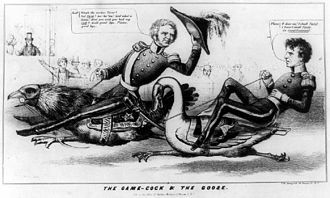 Pond was elected Lieutenant Governor of Connecticut in 1850,1852, on October 13,1853, Governor Thomas H. Seymour resigned from office, and Pond, who was Lieutenant Governor at the time, assumed the duties of Governor. During his tenure, the U. S. Senate passed the Kansas-Nebraska Bill, Pond did not seek reelection and left office, retiring from public service. 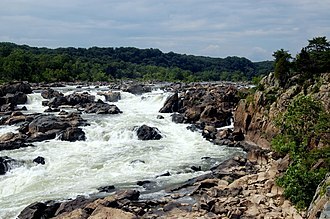 It met in Washington, D. C. from March 4,1853 to March 4,1855, during the first two years of the administration of U. S. President Franklin Pierce. During this session, the Kansas-Nebraska Act was passed, an act that led to the creation of the Republican Party. 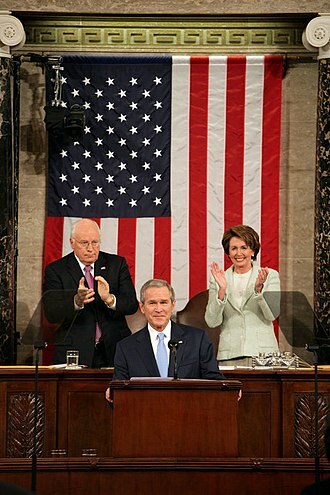 The apportionment of seats in the House of Representatives was based on the Seventh Census of the United States in 1850, both chambers had a Democratic majority. 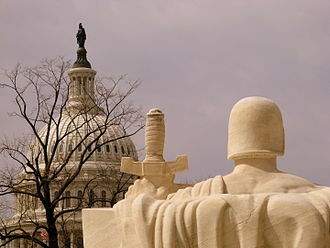 March 4,1853, Franklin Pierce became President of the United States April 18,1853, Vice President William R. King died July 8,1853, Commodore Matthew C. 59,10 Stat.277 March 3,1855, The U. S. Congress appropriates $30,000 to create the U. S, may 30,1854 – Nebraska Territory was organized. 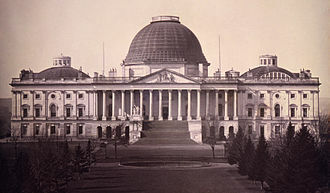 For the beginning of this congress, the size of the House was increased from 233 seats to 234 seats, William R. King, until April 18,1853, vacant thereafter. President pro tempore, David R. Atchison, until December 4,1854 Lewis Cass, December 4,1854 Jesse D. Bright, from December 5,1854 Speaker, Linn Boyd Democratic Caucus Chairman, olds This list is arranged by chamber, by state. Herschel Vespasian Johnson was an American politician. He was the 41st Governor of Georgia from 1853 to 1857, Johnson was born near Farmers Bridge in Burke County, Georgia. 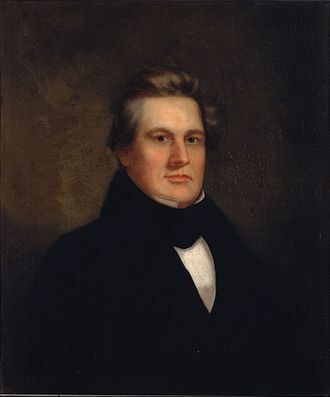 In 1834, he graduated from the University of Georgia and he studied at the private law school of Judge William T. Gould in Augusta and was admitted to the bar. 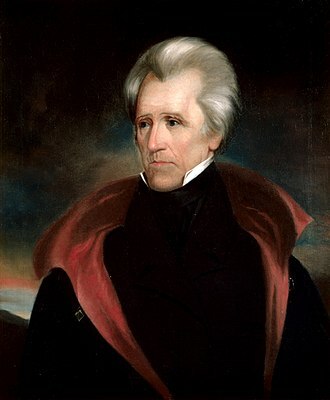 He moved to Jefferson County in 1839 and began to practice law in Louisville, in 1844, he moved to the state capitol and continued to practice law. He unsuccessfully ran for Congress in 1843, in 1844 he was a presidential elector, and cast his ballot for James K. Polk and George M. Dallas. 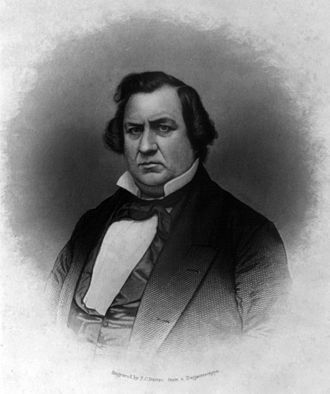 Johnson served from February 4,1848 to March 3,1849 and he returned to Georgia and served as a circuit court judge from 1849 to 1853. 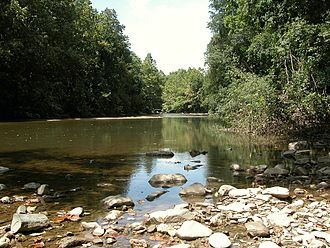 In 1853, he was elected Governor of Georgia, re-elected in 1855, after he finished his term as governor in 1857, Johnson County, Georgia was named in his honor. In 1860, when the Democratic Party refused to add the support of extending slavery to the territories to its platform. 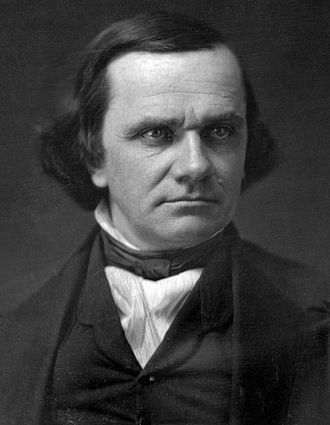 To try to recapture some southern votes, Johnson was chosen as the northern Democrats nominee as the mate of presidential candidate Stephen A. Douglas. He was a slave owner, in 1840, he owned 34 slaves in Jefferson County, Georgia. 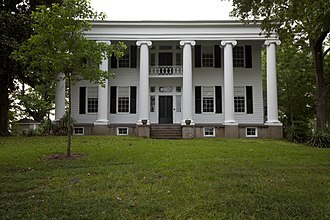 In 1850, he owned 7 slaves in Milledgeville, Georgia and he owned 60 additional slaves in Jefferson County, Georgia. In 1860, he owned 115 slaves in Jefferson County, Georgia, in 1861 he served as a delegate to the state secession convention, and opposed secession from the Union. 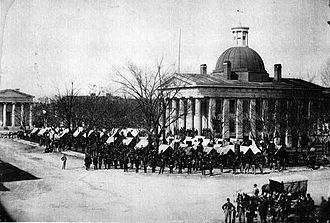 When it became clear that Georgia would secede, however, he acquiesced out of loyalty to his state, in the Confederate Senate, he opposed conscription and the suspension of habeas corpus. After the Civil War, Johnson was a leader in the Reconstruction and was named head of the Georgia constitutional convention. Upon Georgias readmission to the Union in 1866, he was chosen as a U. S. Senator and he again became a circuit court judge in 1873 and served until his death in 1880 in Louisville, Georgia. The Governor of Illinois is the chief executive of the State of Illinois and the various agencies and departments over which the officer has jurisdiction, as prescribed in the state constitution. It is an elected position, votes being cast by popular suffrage of residents of the state. The governor is responsible for enacting laws passed by the Illinois General Assembly, Illinois is one of 14 states with no gubernatorial term-limit. The current governor is Republican Bruce Rauner, who succeeded Pat Quinn in 2015, the term of office of Governor of Illinois is four years, and there is no limit on the number of terms a governor may serve. 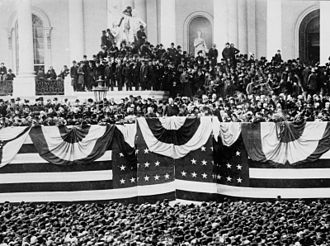 Inauguration takes place on the second Monday in January following a gubernatorial election, a single term ends four years later. Its first occupant was Governor Joel Aldrich Matteson, who took residence at the mansion in 1855 and it is one of three oldest governors residences in continuous use in the United States. The governor is given the use of an official residence on the state fair grounds. 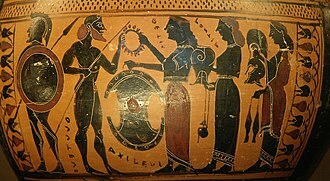 Governors have traditionally used this part of the year. Six Illinois governors have been charged with crimes during or after their governorships, four were convicted, len Small, governor from 1921 to 1929, was indicted in office for corruption. 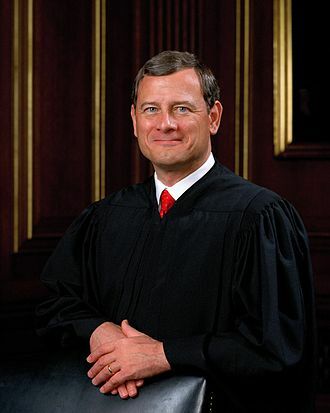 He was acquitted, eight of the received state jobs. Among his defense lawyers was a governor, Joseph W. Fifer, who asserted in pre-trial hearings. William G. Stratton, governor from 1953 to 1961, was acquitted of tax evasion in 1965 and he was prosecuted by future Illinois governor Jim Thompson. He was sentenced to seven years in prison five years of probation following his release. 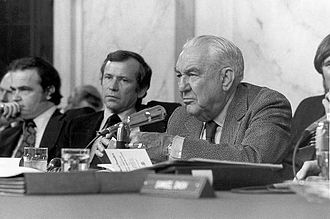 Former governor Jim Thompson, whom Ryan had served under as Lieutenant Governor of Illinois in the 1980s, was manager of the law firm that defended Ryan. In August 2010, he was convicted of lying to the FBI in connection with the investigation, but the jury deadlocked on 23 other charges. Blagojevich was retried on 20 counts from his 2010 trial and on June 27,2011, Blagojevich was convicted on 17 counts of fraud, acquitted on one count, on December 7,2011, Blagojevich was sentenced to 14 years in prison. Events from the year 1855 in the United States. 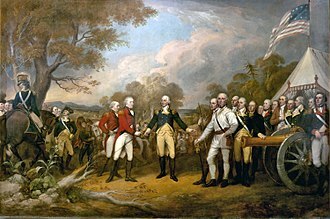 President, Franklin Pierce Vice President, vacant Chief Justice, Roger B, the California State Militia and U. S. Army intervene, ending the war in March. 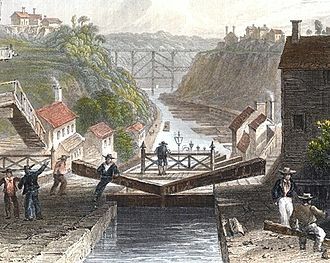 January 23 – The first bridge over the Mississippi River opens in what is now Minneapolis, january 26 – The Point No Point Treaty is signed in the Washington Territory. February 12 – Michigan State University is established, february 22 – Pennsylvania State University is founded as the Farmers High School of Pennsylvania. March 3 – The U. S. Congress appropriates $30,000 to create the U. S. Camel Corps, March 16 – Bates College is founded by abolitionists in Lewiston, Maine. March 30 – Elections are held for the first Kansas Territory legislature, missourians cross the border in large numbers to elect a pro-slavery body. April – Cincinnati riots of 1855, Tension between nativists and German-American immigrants in Cincinnati breaks out into territorial street fighting on election day, may 17 – The Mount Sinai Hospital is dedicated in New York City, it opens to patients on June 5. 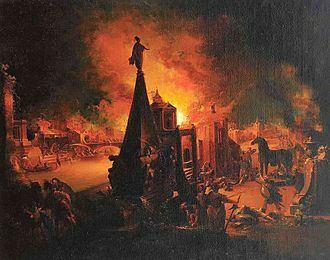 June 6 – Portland Rum Riot, A crowd gathers at a storehouse believed to hold alcohol in Portland, the militia is called in and fires on the crowd to disperse the crowd, killing one person. 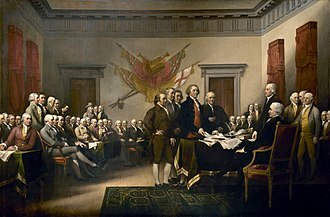 June 28 – The Sigma Chi Fraternity is founded at Miami University in Oxford, july 1 – Quinault Treaty signed and Quileute cede their land to the United States. 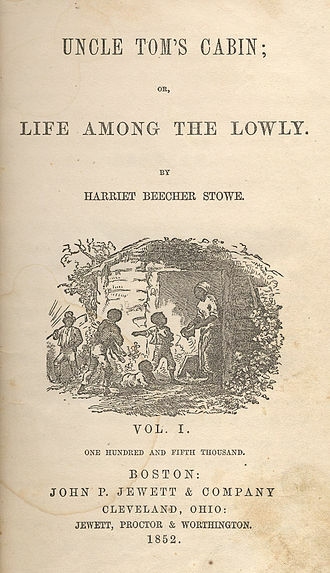 July 2 – The Kansas Territorial Legislature convenes in Pawnee and begins passing proslavery laws, july 4 – Walt Whitmans poetry collection Leaves of Grass is published in Brooklyn. July 6 – The Kansas Territorial Legislature meets for the last time in Pawnee, voting to relocate to Shawnee, july 16 – U. S. Indian commissioner Isaac Stevens signs the Hellgate treaty with Native Americans living in what is present-day western Montana. August 6 – Bloody Monday, Protestant mobs attack Irish Catholics on a day in Louisville, Kentucky. September 3 – First Sioux War – Battle of Ash Hollow, U. S. forces defeat a band of Brulé Lakota in present-day Garden County, Nebraska. 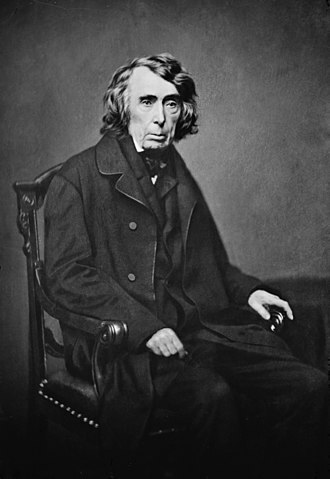 Thomas Brown was an American politician who served as Floridas second Governor from 1849 to 1853. He is buried at the Old City Cemetery in Tallahassee, thomas Brown was born in Westmoreland County, United States, home to George Washington, James Monroe, and others. 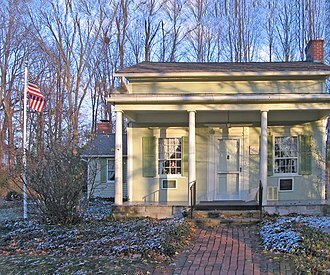 Brown served in the War of 1812, and subsequently became chief clerk of the post office at Richmond, while in that position, he invented the post office letter box. In 1828, Brown moved with his family to the Florida Territory, as governor, Brown tried to improve Floridas transportation system. Also, he complained that Florida was making progress on education. On January 6,1853, he signed the bill that provided support to higher education. 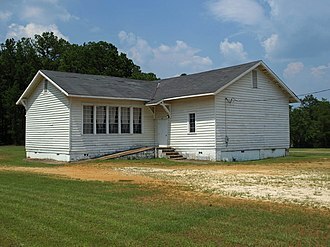 East Florida Seminary in Ocala was one of the first schools to utilize this funding, in 1866, EFS reopened in Gainesville, and the University of Florida traces its history to this institution. 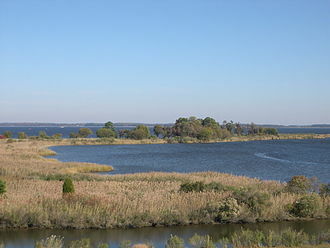 Brown was inspired by the discovery of the rich lands of the Lake Okeechobee area and encouraged cattlemen and farmers, protected by the Florida militia. Brown (right), photographed with his daughter. 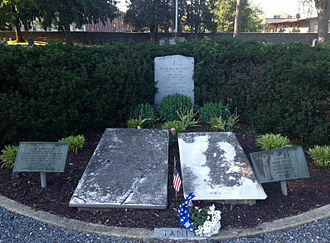 Grave of Gov. Brown, in Tallahassee FL; 2007. Bureau of Engraving and Printing portrait of Cobb as Secretary of the Treasury.